Is social networking a big deal for you and your brand? These apps make life easier! While everyone is on social networks these days, it's a bigger deal to some of us than others. For some, social networks is not just for personal use, but for work, building a brand, or networking to get where we want to be. For those who take social networks seriously, here are some of the best apps for the job. Hootsuite is a popular option for many, and for good reason! Users can hook up their Twitter, Facebook, Instagram, and LinkedIn accounts on Hootsuite and then post updates simultaneously across all networks. There's even the ability to create drafts and schedule them for later for maximum engagement with your followers. 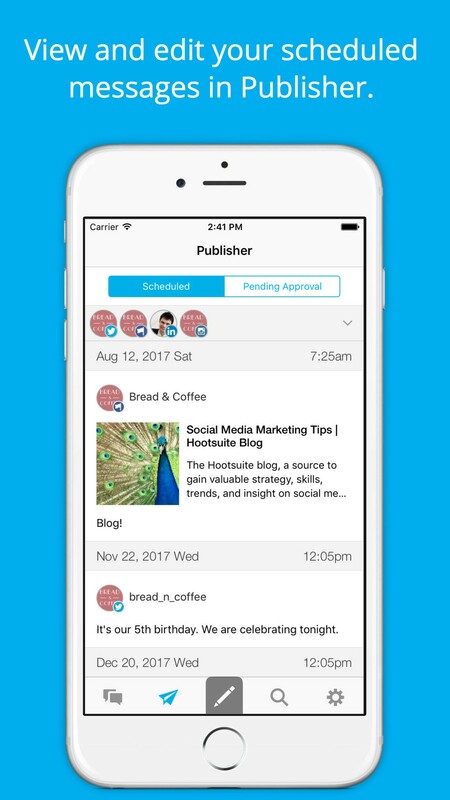 For scheduling, you can go with Hootsuite's AutoSchedule option, or create your own Custom Schedule that best suites you and your follower's needs. With the free download, you can link up to three accounts. If you need more, you can subscribe to Hootsuite Professional for $29 per month. They give you a 30-day free trial when you sign up. Professional also gives you access to more networks if needed. 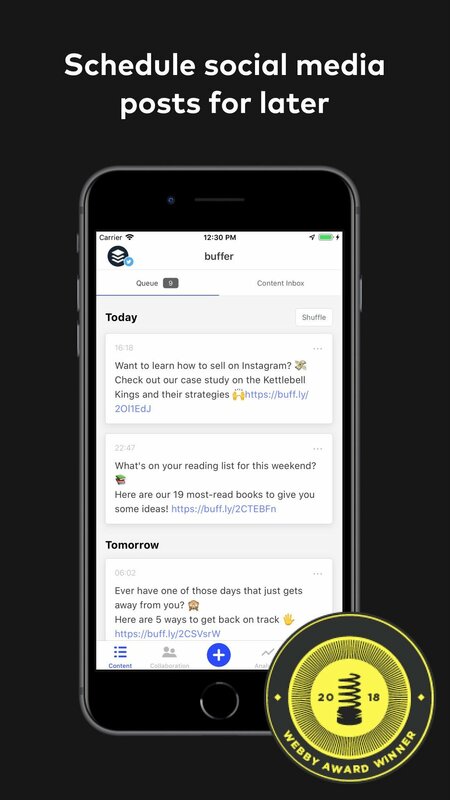 Another all-in-one social network manager is Buffer. You can add up to three accounts for free from the following networks: Twitter, Facebook, Instagram, Pinterest, and LinkedIn. 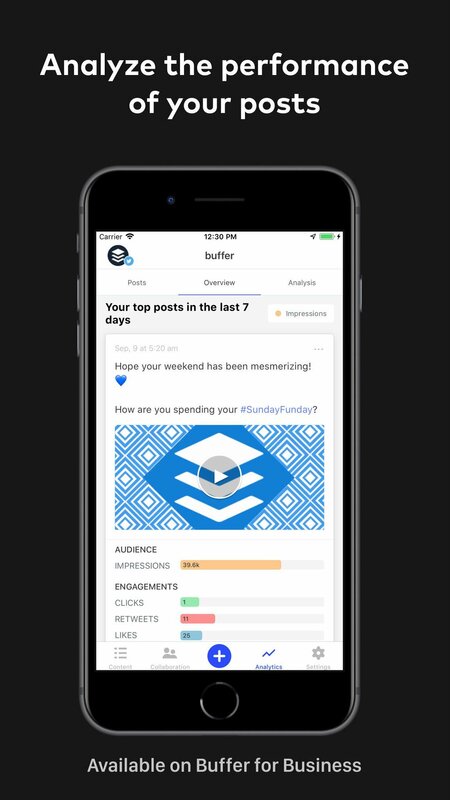 Buffer lets users create posts that include text, links, picture, and video, then choose where it goes to, or even schedule them for later for best engagement. There are even Instagram reposting and a Safari extension to make it easy to share at any time. Buffer has an allotment of 10 scheduled posts per profile per day for free. If you need more accounts or posts, then you'll need to sign up for a Pro Plan, which starts at $14.99 a month or $144.99 a year. Pro grants eight accounts and 100 posts. The Small Business Plan starts at $99.99 a month or $999 a year. It includes 25 social media accounts, five team members and contributors, 2,000 posts per profile, and all standard and Pro features. If you have a few Facebook pages to manage, then Facebook Pages Manager is a necessity. With this app, you can access all of the pages that you're in charge of, in a single place. You can post updates and photos, and respond to the comments that other people have left on your pages. It's also where you can view and reply to private messages sent to your pages, and you get full access to insights and analytics about engagement. The notifications help you stay up-to-date with what's going on with your pages. 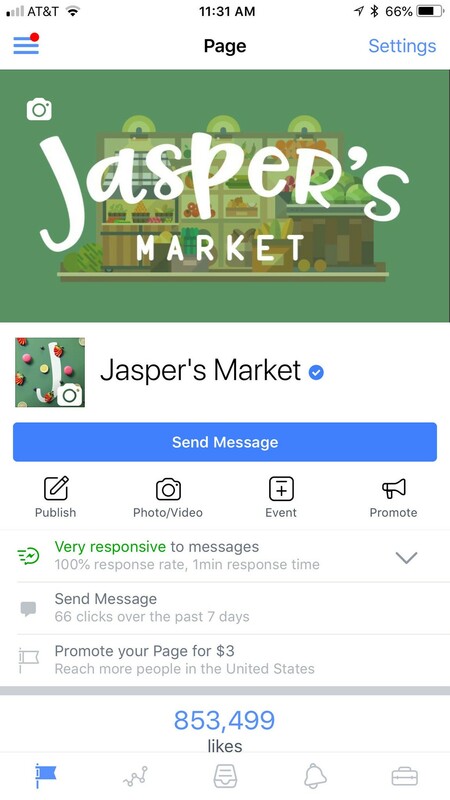 Do you manage brands on Facebook through Pages? 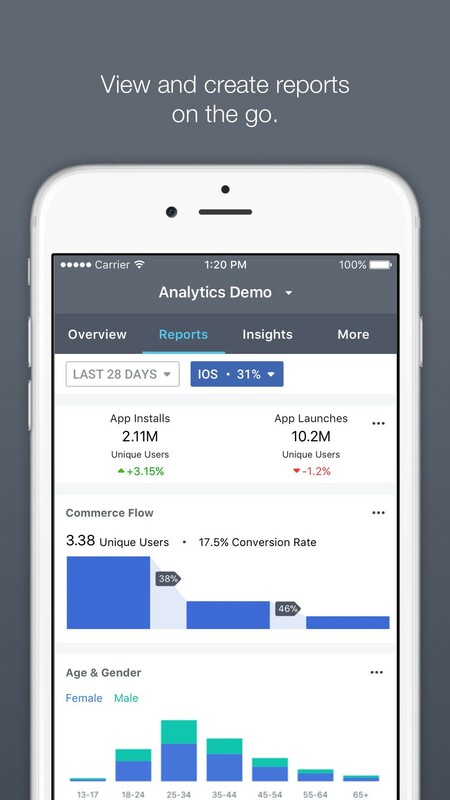 Then Facebook Analytics is an app you should have with you at all times. With this, you're able to check on growth, engagement, and even monetization with your team. 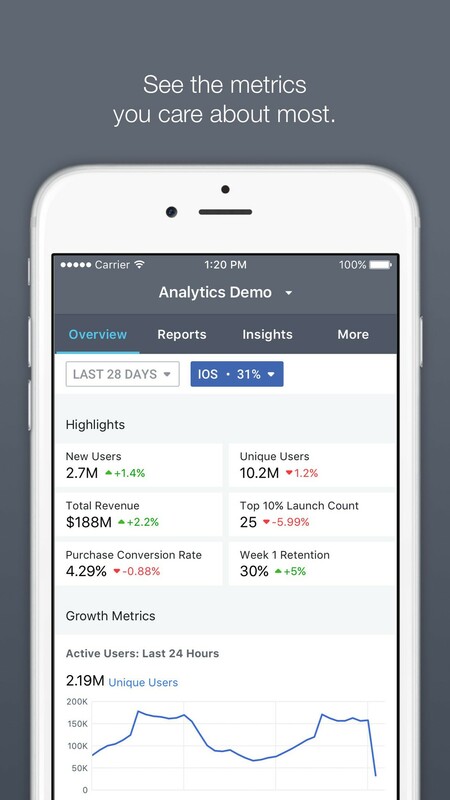 You'll see all of the metrics and analytics in custom mobile views. 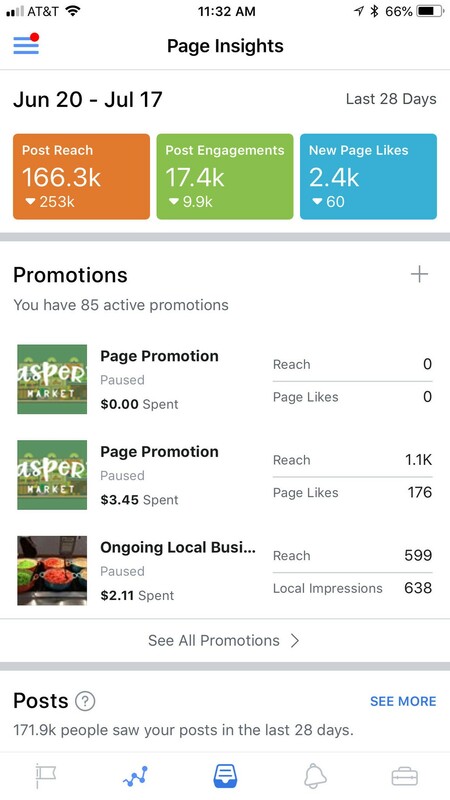 Facebook is a powerful tool for businesses, and this app helps you see how things are going visually. Have you ever wondered who just unfollowed you on Twitter? Birdbrain does just that! With Birdbrain, you can monitor who unfollowed you, mentioned you, retweeted you, and other insights into multiple Twitter accounts. These include how many people followed you in the past 24 hours, days, weeks, or year. You can even manage who you're following, see who you don't follow back, and block users directly from Birdbrain. And if you're ever curious about a new follower, just check on their profile directly in Birdbrain, or send it out to your favorite Twitter app, such as Tweetbot. On the surface, Drafts seems like just another plain text editor designed for quickly jotting down notes. But it's so much more than that! 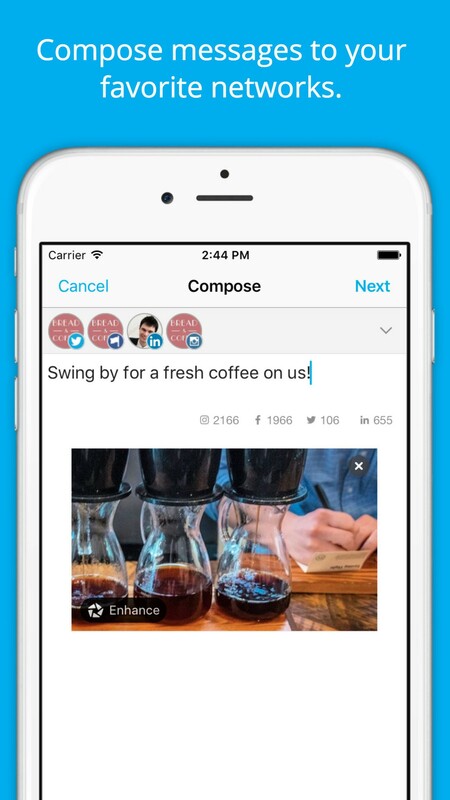 With Drafts, you can compose short or lengthy text posts with links, and then take action on it. The actions you can do in Drafts is very flexible and customizable, so you can even send your text over to any social network you want. So you can pump out some words and then send it to Twitter, Facebook, or any other app that you have on your phone. Drafts is free to download and use, but a Drafts Pro subscription gets you themes, create your own custom actions, workspaces, enhanced URL automation, and more. Pricing starts at $1.99 a month or $19.99 for a year. If you prefer to automate things because it makes life easy, well, we can't blame you. That's why IFTTT was made. With IFTTT, users can bring together pretty much anything together to create a new experience, but it's also great for social networkers. IFTTT stands for "If this, then that." Users create recipes that trigger when a certain condition is met. For the world of social networking, you can make a recipe that takes your status update or post from one network and duplicates it on another. So if you use a recipe where "if you post a new tweet, then the same status gets posted on Facebook," that will occur when you tweet. There are hundreds of apps and services that work with IFTTT, so you can use it for your power networking, record keeping, smart home automation, and much more. The possibilities are endless with this one. For those who depend on social networks for branding, business, or networking, these are some of the best apps we've found to get the job done. What are your favorites? Let us know in the comments below!